It was pitch black outside, the long and winding route drove us off into the unknown. We knew our destination was Chachapoyas, but little did we know what to really expect. As we stumbled down the bus, eyes burning, necks hurting and tired, we could see the sun rise slowly onto a beautiful, colonial city. We walked on the cobble stone streets and finally arrived to our hotel. The city of Chachapoyas was the sixth city founded by the Spanish on Sept 5th of 1538. It is located in between the mountains and the jungle. After a quiet breakfast, it was time to explore! We soon realized that there are SOOO many things to do and that it would be difficult to choose what we would do for the next four days: from day trips, to cultural sites, or to several day hikes: Chachapoyas has it all. In total, there are approximately 670 sites that have yet to be discovered. The best part? Not many tourists! Maybe this is because the journey to get to Chachapoyas is quite an experience in itself, or maybe because it is not much talked about and maintains a certain mystery. 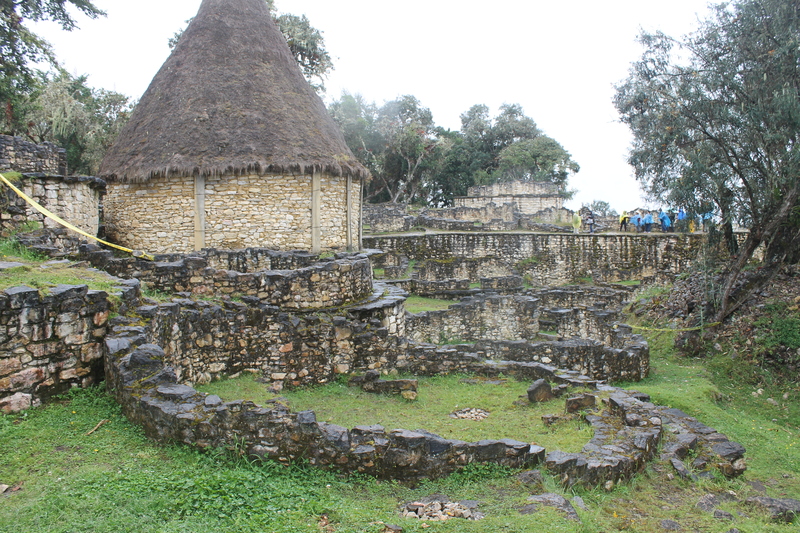 Kuelap is known as the “Machu Picchu” of the Chachapoyas culture. The day we went it was raining the whole morning, but the pre-inca archeological site is impressive. 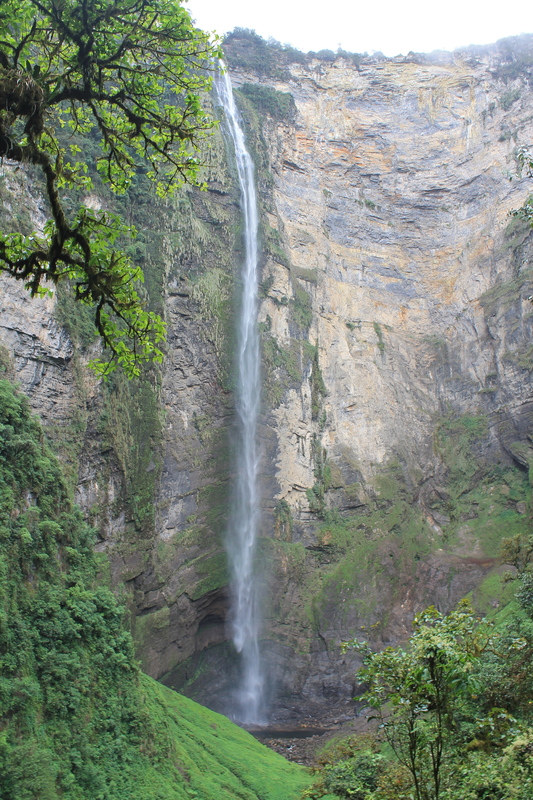 Spend the day with nature as you hike for about 5km to get to the beautiful waterfall, known as Gocta. Depending on the time of the year, there may be little water (like in my photos), or the waterfall can be very full. It is the third longest in the world and is 771m high. Our guide explained that they are not quite sure where the idea came from to build the small houses in the mountains. 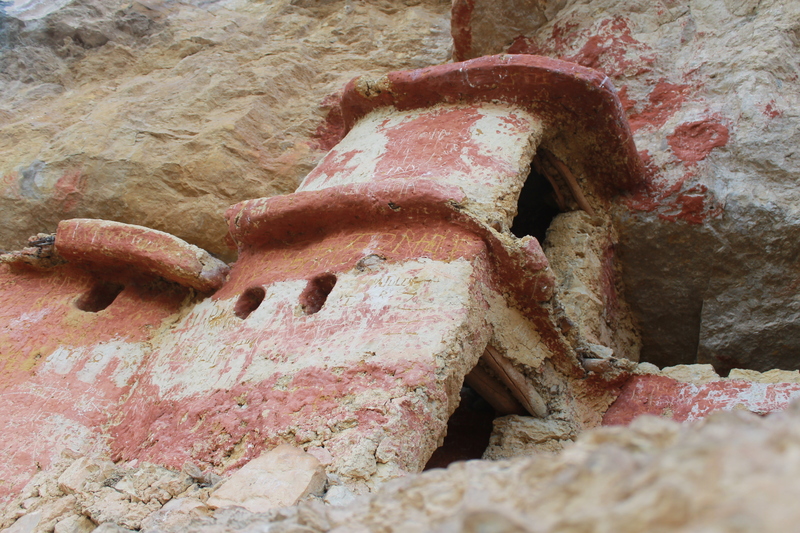 The mausoleum of Revash is a site where the people’s bodies were deposited (they were not buried, just deposited). This site is very unique because it is the only one in Peru and in South America. These sarcophagus are very unique because the mummies inside are in a fetal position. Only those of high ranking were deposited here as an honour. 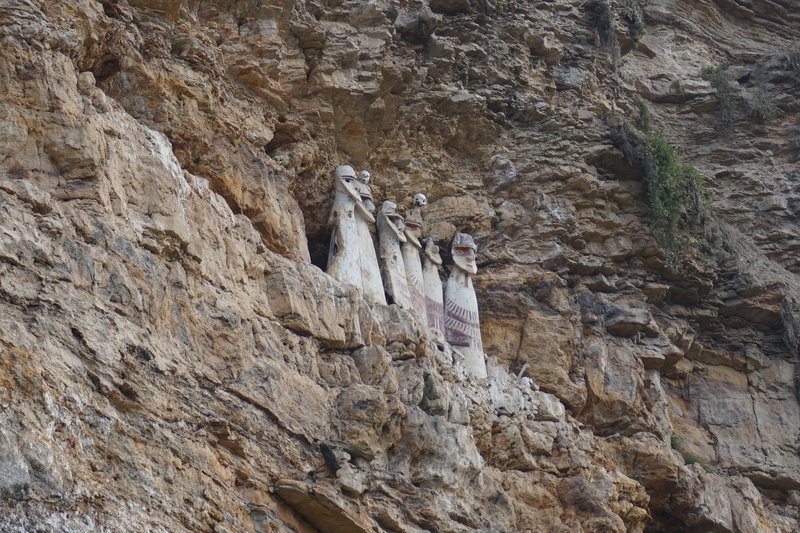 The sarcophagus are about 2.5m high, they are a little far; you can see them, but if you have a good camera zoom or extra lens, then even better!